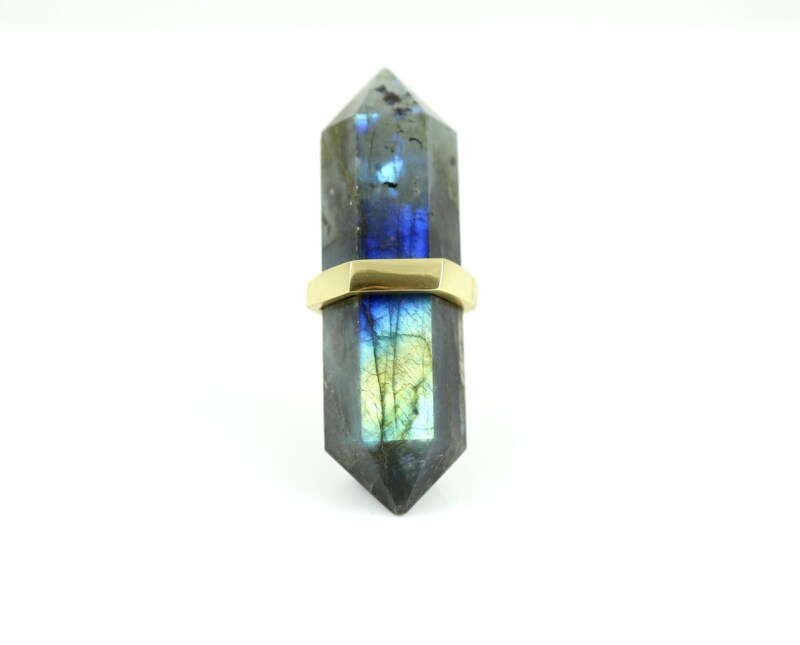 Modern, refined, natural gemstone decor at its finest. 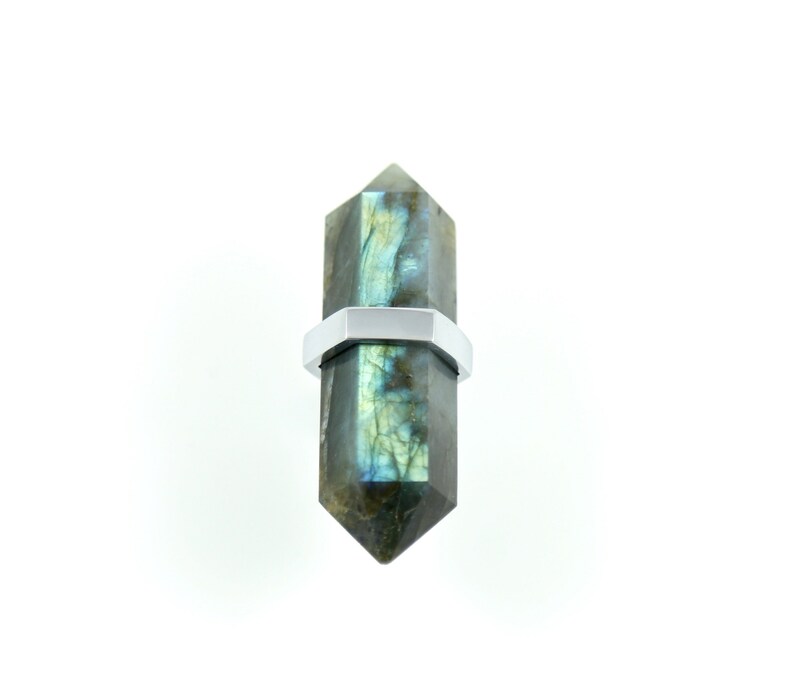 This blue drawer pull features a 3" flash labradorite wrapped in a solid brass hexagon in the finish of your choice: brass, satin nickel or chrome. A striking way to dress up your linen closet doors or dresser drawers. To order, choose your custom finish from the drop down menu. *Please note that the pulls in the listing photos were taken under bright studio lighting. 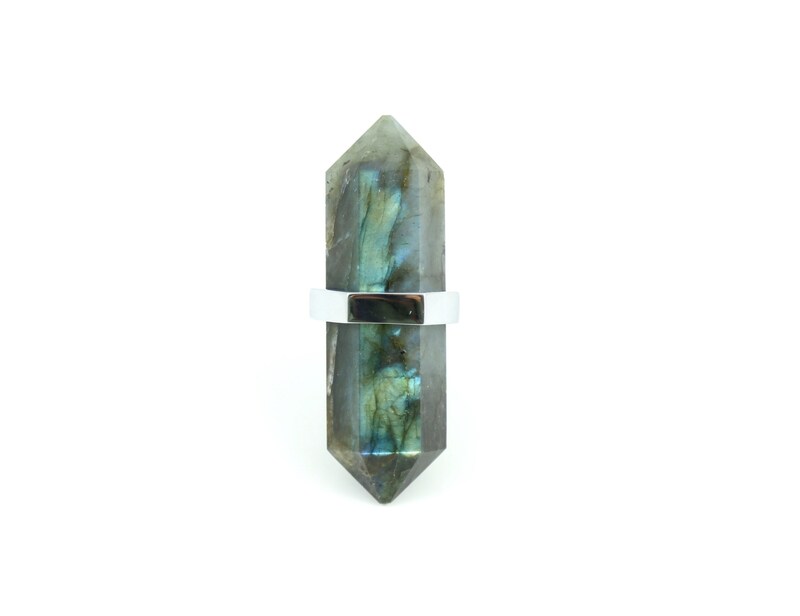 Labradorite is gray with blue and green undertones; it flashes like the Northern Lights when it hits the light at certain angles.